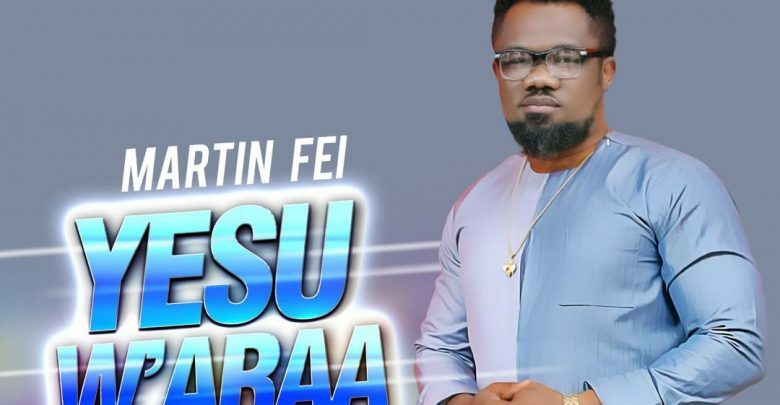 UK based Ghanaian gospel artiste Martin Fei in recent times has been influential in Ghana and Uk and with 3 hit songs to his credit and now with a new banger titled ‘Yesu W’ara’, Martin Fei continues to rise with great impartation through his songs. His earlier hit songs “Aseda” and “Turn me around” made waves in London and had lot of airplay on radio and TV stations in Ghana. Brought up in a Christian home, Martin Fei has always had the zeal to project Christ in his life time. His musical talent which was discovered at a tender age at the children’s department of His mother church in Ghana came as surprise when He could sing “parts” of a song because He was the only child who could do that. His new song ‘Yesu W’araa is translated in the Ghanaian Twi language as “Jesus it’s You”. The song accords Jesus all the Glory for the blessings and the breakthrough as the only One who can orchestrate these events.